Spring is here, enjoy this beautiful weather! Don’t you love to get out there and clean out the garage? But what will you do with all this stuff? Don’t panic, we have the perfect solution at Hilltop Structures, quality storage shed for a reasonable price. We offer five distinctive styles: Jefferson, Traditional Classic, Grand Classic, Supreme or Deluxe. Our custom sheds range from 10x10 up to 16x40 and come with a 12-month warranty. We offer many different options such as stain colors, siding, garage doors, windows, storage loft, work bench and much more. Size – This is the most important detail when choosing a storage shed. Items such as lawn equipment and ATV’s may require a larger storage shed while boxes of decorations and garden tools would require a smaller storage shed. Deciding what items, you plan to store will help determine how much space you need. Style – We offer five different style storage sheds to choose from. Will your storage shed be behind your home or located next to it? Do you need a loft for extra storage? This will determine the style, color and siding you choose. Color – We offer a wide variety of storage shed color options to choose from. Do you want your storage shed to match the color of your home or compliment it using a bold color? Or maybe you want your storage shed to blend in to the outdoor scenery? 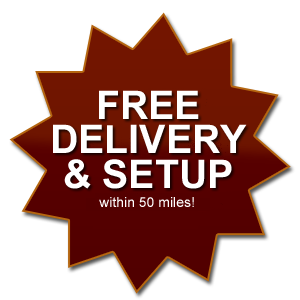 Options – We have a wide range of options for your storage shed. Do you need a ramp to help park equipment? Or a roll up garage door for easy access? Other storage shed options include gables, work benches, loft storage, basic electric package, flower boxes and much more. 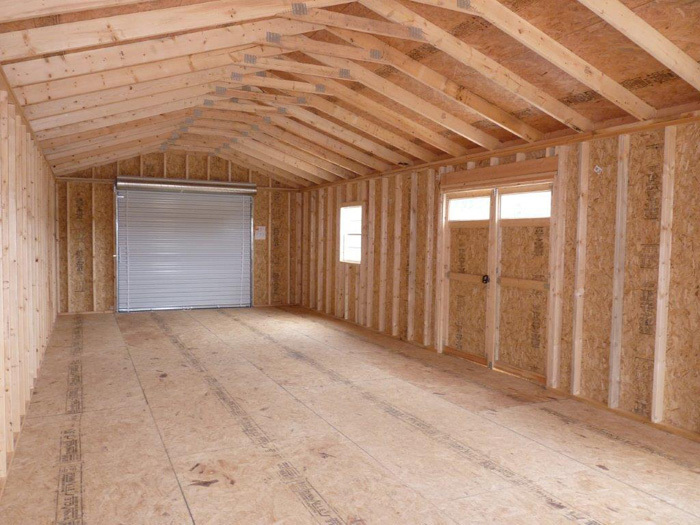 Still not sure what kind of storage shed you need? 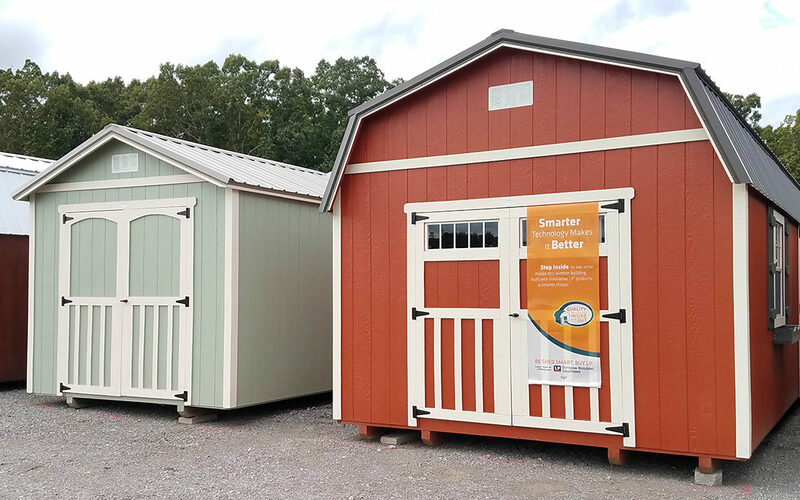 Stop by our lot in Cumberland Furnace, Tn and tour our storage sheds. We have a great selection to choose from and if you don’t see one you like, we can custom build one to meet your specifications.